With hundreds of billions of euros being spent on German infrastructure projects over the coming years, Terex Trucks has identified Germany as a key market. The articulated hauler manufacturer already has three dealers in the country but it’s keen to sign more – not least because its upgraded TA300 was recently launched there. 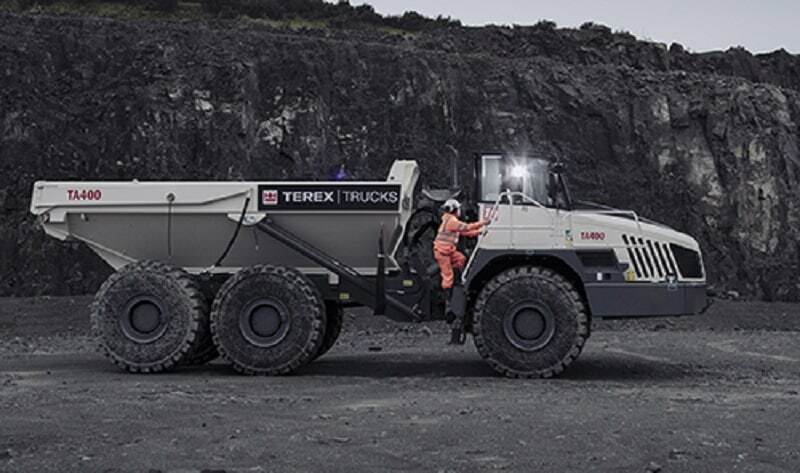 With so many major construction projects ahead, Terex Trucks wants to strengthen its position in Germany. Germany has been investing heavily in its infrastructure – and many are predicting that the level of investment will continue to grow. Over the coming years, €269.6 billion will be spent on modernizing and interlinking Germany’s transport infrastructure. This includes €127.1 billion that has been put aside to fund the renovation of the country’s road network, which is estimated to take place until 2030. It’s not just the roads that are getting a facelift, though – everything from Germany’s airports to its fiber optic cable networks are going to be upgraded. 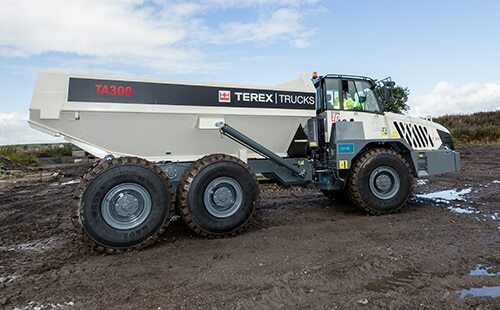 Terex Trucks offers two articulated haulers in Germany: the TA300 and – the biggest hauler in the company’s range – the TA400. These machines are typically used on large-scale construction projects as well as in quarries and on infrastructure developments. “Looking at the numbers, German customers show a preference for the TA300 because they like its high flotation tires, mechanical suspension and over-hinged tailgate,” says Paul. “It’s a relatively maintenance-free machine.” Since August 2018, German customers have been able to get their hands on an upgraded version of the TA300, complete with the new and improved EP320 transmission. 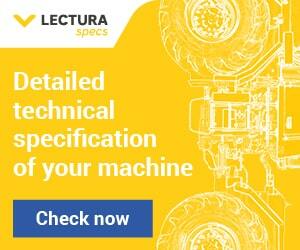 Robust and fuel efficient, the upgraded TA300 should be a big hit among German customers. “With the rental market dominating in Germany, Terex Trucks has to ensure that its machines are extremely robust and durable, minimizing downtime for the customer,” says Paul. The Motherwell-made TA400, is larger than the TA300 and can haul 38 tonnes (41.9 tons). It has a heaped capacity of 23.3m³ (30.3yd³) and comes fitted with a Scania DC13 engine. It is fitted with an Allison HD4560 transmission, which boasts high performance oil and up to 6,000 hours between service intervals. The TA400 provides great traction and an effective power-to-weight ratio, which ensures material is moved as quickly as possible in all conditions. With this functionality, customers can achieve maximum productivity at a minimal cost. 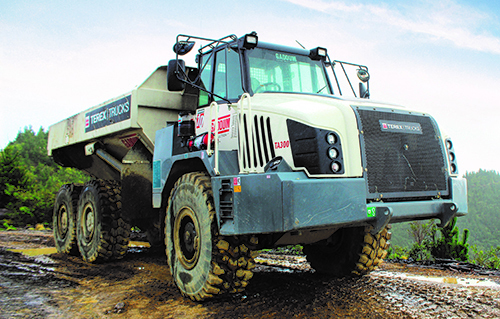 Terex Trucks’ largest articulated hauler – the TA400 – is perfectly suited to Germany’s booming construction market. The TA300 is powered by a Scania DC9 engine and can haul 28 tonnes (30.9 tons). It has a heaped capacity of 17.5m³ (22.9yd³). The articulated hauler is equipped with true independent front suspension as standard, enhancing operator comfort and enabling excellent traction control and maximum productivity in the most challenging of conditions. Ground level test points, combined with a fully tilting cab and an electronically raised hood, ensure ease of service and reduced downtime. Both the TA300 and TA400 are exceptionally powerful – and they provide high levels of operator comfort too. The cab boasts pressurized capabilities, a high-performance heating, ventilation, and air conditioning (HVAC) system, interior lighting and heated seats with adjustable armrests.